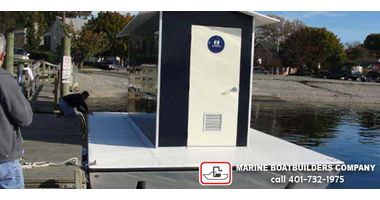 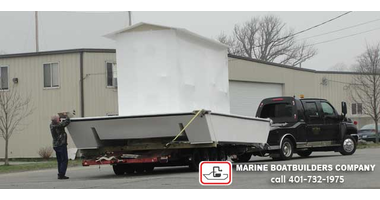 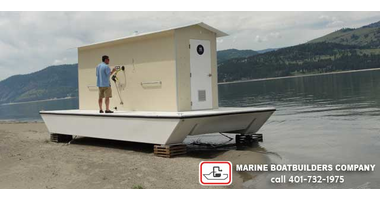 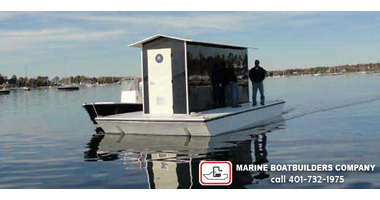 Marine Boatbuilders Company provides Iowa (IA) with custom-made PUMP KLEEN® Floating Restrooms for use in no discharge waters. 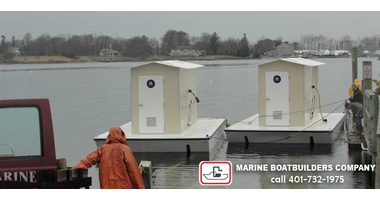 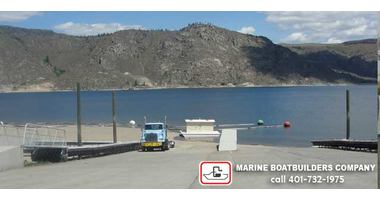 Our ADA Compliant environmentally safe PUMP KLEEN® line of Floating Restrooms are perfect for use in Iowa lakes, inlets, coves and places where there is limited access to bathrooms.. 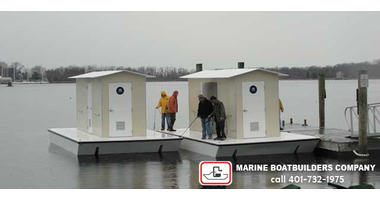 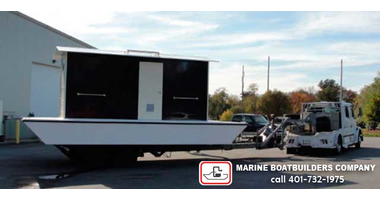 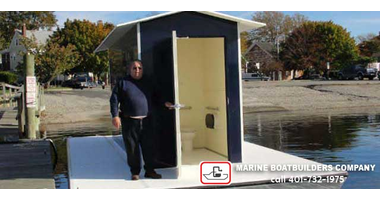 The floating restrooms are built for use in Iowa waters to allow Iowa boaters to pull up alongside the floating restroom and get off their boats to use the facility. 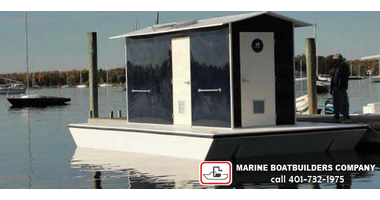 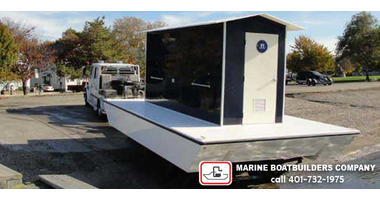 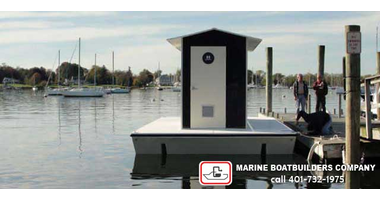 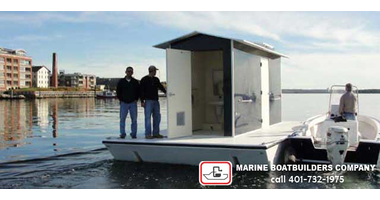 Iowa floating restrooms are designed for ease of use and long-term durability, with low maintenance a consideration. 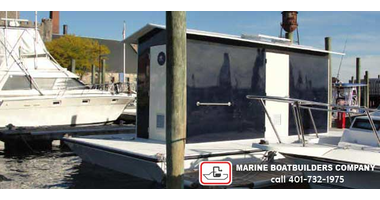 Integrity of the holding tank is a primary goal, even under abusive conditions, such as grounding and other impact. 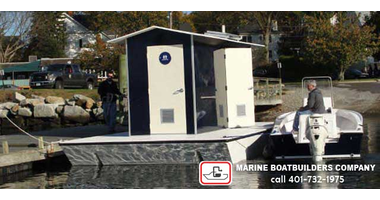 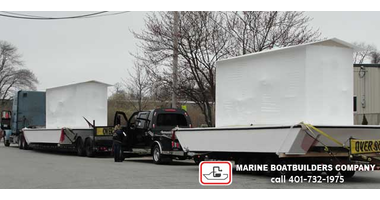 In general, our Iowa floating restrooms are constructed of composite materials, in accordance with standard marine industry practices. 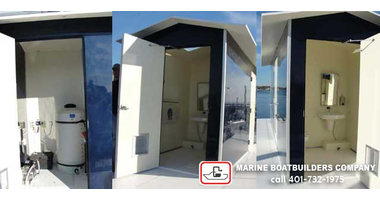 Hardware components suitable for a marine environment are fitted for functionality and use.